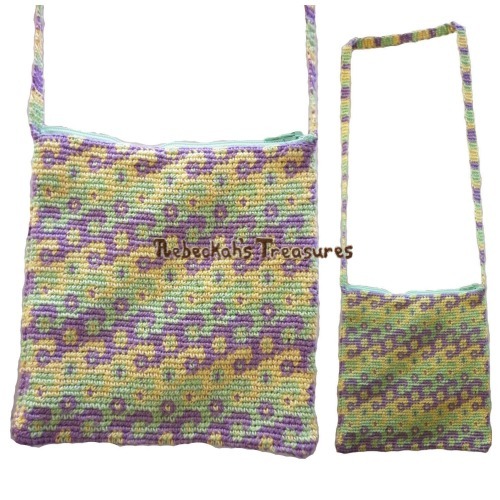 It can be made in any yarn weight and doubles as a doll backpack or a coin purse depending on your chosen yarn weight. These work up so quickly, and would make great party favors for little girl parties. 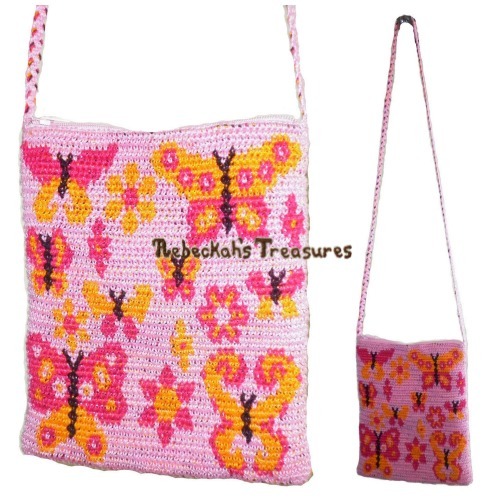 This crochet pattern includes written instructions on how to crochet this little bag, and gives recommendations for yarn and hook sizes so you can get the look you want. This PDF formatted pattern has 3 pages (831 KB), and uses US Terms. *You should know a little bit about Tapestry Crochet for this project, but if you don't there is an accompanying video tutorial for this pattern on the Blog and YouTube.